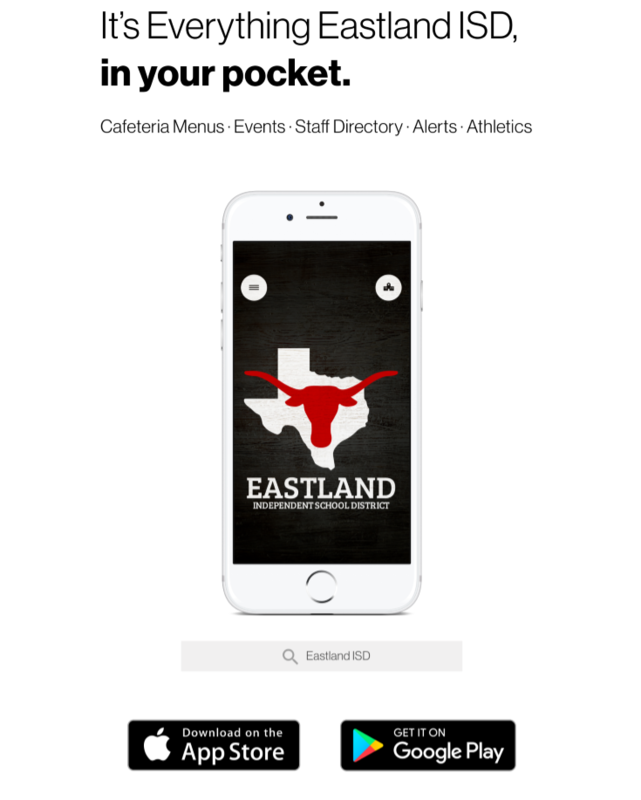 We’re thrilled to announce Eastland Independent School District’s new app! Access sports scores, cafeteria menus, news updates, even emergency notifications! Download the app on Android: http://bit.ly/2Fz7RkK or iPhone: https://apple.co/2FxqAwK.